Between Native American music at the Bowers, life assessments, Mandarin lessons and buying Identity Issues for a super deal, I sprinted and am ahead of schedule to meet my Camp Nano goal. I aim to finish a new draft of a science fiction novel that would include writing about 20,000 new words and revising 75,000 words. I’m over the 57,000 word mark now. Yesterday I submitted a flash fiction piece “A Sword Taken from the Third Grave” to an anthology, for a October 2018 release. Less than 500 words. Whew. Have I mentioned that I love Amazon Crossing? It allows us English-only speakers to read or listen to fabulous writers around the world. I have a growing bookshelf of books by Spanish, South American, Chinese, Japanese, Indonesian, and German authors. 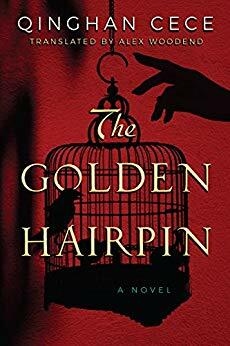 I very much enjoyed the medieval Chinese mystery called The Golden Hairpin. 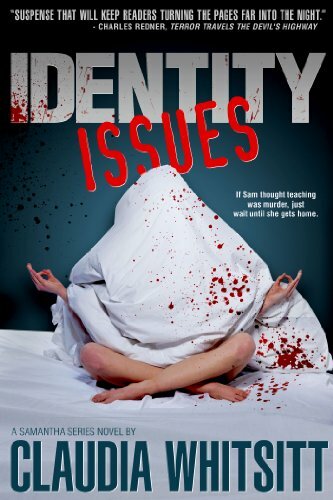 Speaking of mysteries—Identity Issues by Claudia Whitsitt is only 99 cents! Who could resist this description? If Sam thought teaching was murder, just wait until she gets home. Although Samantha Stitsill’s instincts warn against it, her curiosity over the theft of her husband’s passport festers until it becomes an obsession. Haunted by late night phone calls for the other Jon Stitsill and caught up in tutoring the impostor’s son, Sam uncovers disturbing secrets and lies. To make matters worse, her only likely confidante is an uncomfortably attractive detective. She is no longer just a wife, mother, and educator, but an in-over-her-head amateur sleuth facing complicated feelings and, even worse, threats to her life. This first novel in the Samantha Series is based on Whitsitt’s own experience with identity theft and blends fact with adventure and romance. So I bought it and when I finish the incredibly good Bayou mystery Wild Man’s Curse by Susannah Sandlin, I’m jumping into Identity Issues. Good books. They make life rich. This entry was posted in Uncategorized, WRITING and tagged Camp NaNo, Claudia Whitsitt, mysteries. Bookmark the permalink.